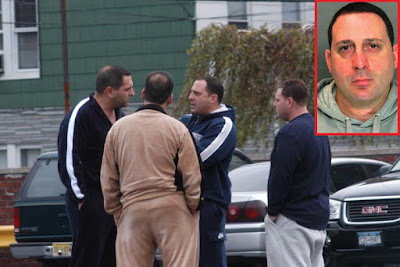 Ronald 'Ronnie G' Giallanzo, an acting captain in the Bonanno crime family, pleaded guilty earlier this year to a federal racketeering conspiracy charge and for violating conditions of his supervised release after being previously convicted of racketeering. 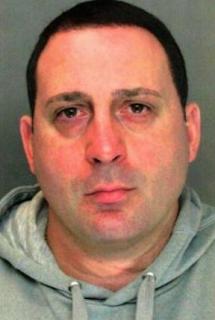 Giallanzo was ordered to serve 14 years behind bars, pay $268k in restitution, forfeit $1.25m in assets and sell his mansion in Howard Beach. Giallanzo participated in the loansharking scheme between 1998 and 2017, even while serving an eight-year prison sentence. He provided borrowers with loans, charged exorbitant interest rates and demanded weekly payments. The ring gained more than $26 million in proceeds over 19 years. Four of Giallanzo’s associates — Evan Greenberg, 46; Richard Heck, 46; Michael Hintze, 52; and Robert Tanico, 50, — were previously convicted and sentenced. Five others — Michael Padavona, 50, Michael Palmaccio, 47, Robert Pisani, 45, Christopher Boothby, 39, and Nicholas Festa, 40 — are still awaiting sentencing.